Okay so by now y’all know I live in a town about the size of a mini van. We have a Walmart & a Waffle House I know classy right ? Nah… I love it though… Small town living is amazing but not so much when you want new and “different” stuff. So when I started blogging and meeting new people. 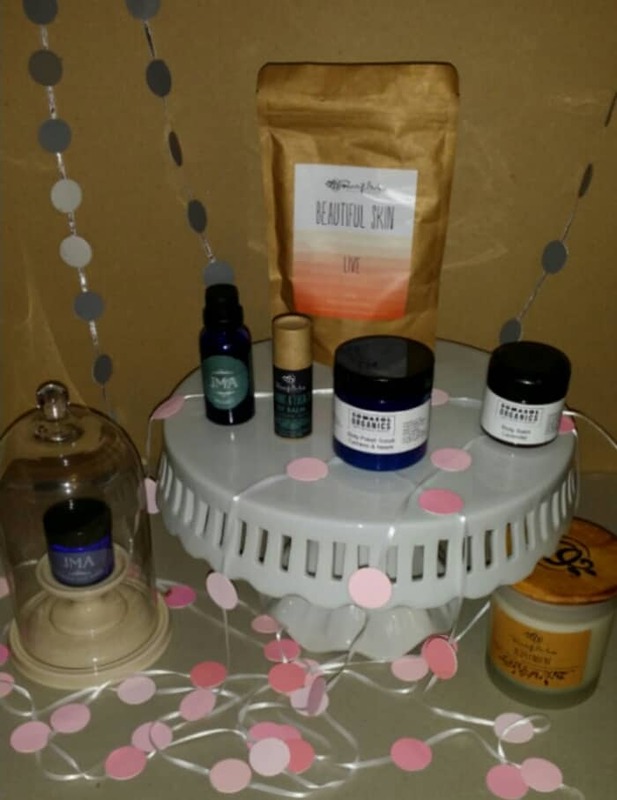 I was blown away with the uniqueness of organic products and all the neat amazing things that people make and have won me over with way more than my items I buy online from Sephora. I have a new-found passion for dream-catchers and the one I got my hands on from a small shop was definitely my favorite. Didn’t look thrown together and cheap. I have it hanging in my living room and every time someone comes over it’s the 1st thing they notice. 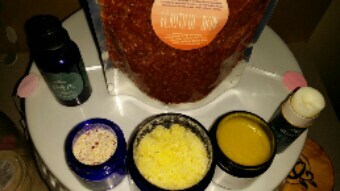 The body scrub was simply amazing !! I have awful dry skin… But after I used this just one time I could tell a huge difference on my “rough” areas elbows, knees, feet etc… The smell and texture of the scrub was perfect I could even use it in the bath without feeling totally gritty but still enough grit for what I needed. It was the best packaged scrub I have ever used ! Will def be getting this again soon. 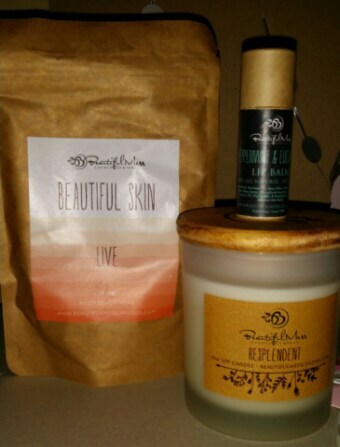 I also got a soy candle and peppermint/eucalyptus lip balm from Beautiful Mess Candle Company the lip balm was huge and I love it !!! it perfectly adds moisture and no irritation at all. The candle is amazing and even after it’s gone i can use the unique jar it came in and even leave it sitting out. Pretty frosted glass and an awesome wood top with logo. I never want to burn my fav candles i now weird right but i like to save them for “special” stuff and this is def one of those !!!! I’m so behind in the beauty world it’s insane but I finally wanted to start trying all the “organic” products and this is the 1st company I tried. So glad I did !!! 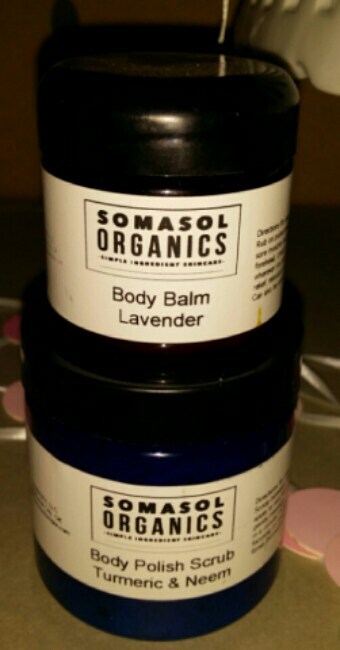 From Somasol Organics I got Lavender Body Balm & Turmeric & Neem Body Polish. First thing i noticed was when I opened my package I could already smell the amazing products. I use the body balm EVERY night I love to moisturize but hate feeling wet and sticky more so if I’m going to bed and this stuff is perfect I can put lot’s on and still be good to-go and it REALLY works !!! I could tell a huge difference with in like 3 days !! I’m a huge body scrub/polish fan but also kind of picky cause i want the texture just right if that even makes sence… I guess y’all know what I mean if you have tried a few. And once again amazing it works so good did not burn my eyes and even my 5-year-old daughter loved it !!! I also tried the Almond Face Scrub (yes I love Scrubs) this was a different treat for me cause it was a powder based scrub you mix with water paste it up and it’s perfect. Did not irritate me at all this is one of my fav cause it feels very light going on and washing it off but does the job !!! So Excited I have discovered amazing new brands. And ya’ll these companies are amazing !!! Will take and answer all and any questions you have and it’s so much more special and personal ! Now last but not least !!!! My dream-catcher that I am in absolute love with !!! I have a new-found passion for Dream-Catchers and this shop blew my mind !!! I plan on collecting them all ! I’m almost positive I was a Gypsy in my past life or will be again when my kids are older and this fits me to a T !!! I have it hanging in my living room yep my living room I want EVERYONE To see it and they do ! When someone comes over it’s the 1st thing they see and comment on. I have a small collection of Dream-Catchers but nothing like this one. You can tell major time and detail goes into each one. It does not look cheaply made or like “junk”. She has one for EVERY style go see !!! @ A Tiny Little Triangle. Everyone is different and love’s different types of things but these are my thoughts and TRUE views on my new-found goodies !!! Everyone I partner with knows ahead of time that I will only give HONEST feedback…. I am blown away with this groups talent and amazing beauty products !!! I’m one lucky Girl !! 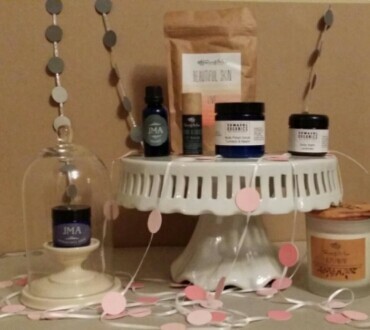 ** Some items were bought and some were received for review. Hope ya’ll are intrigued go see for yourself !!! That scrub sounds amazing; I have really awful dry skin too, there must be at least one product which will tackle it haha! I love Soy Candles! I'll have to check these out! I will have to take a better look I love scrubs! I can hear a southern twang when I read your post lol I love it! Great post, I want to try that scrub. Hahah your so right I'm in the deep south north GA mountains. Thanks so much for reading. You have some great finds. I find the majority of the new brands/shops that I love and support via Instagram, so I know what you mean. It's a big/small world after all lol! 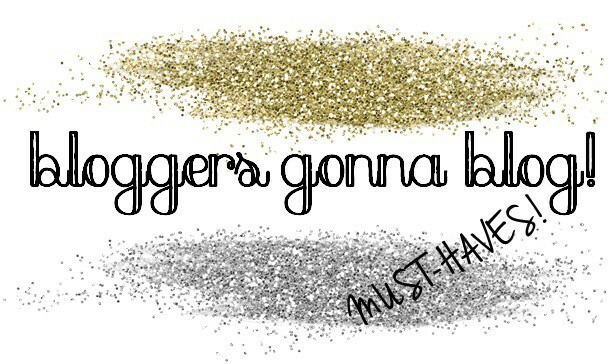 I'm so with you!! I live in a really tiny town too. I love it and I love the small town atmosphere...the only thing I HATE is having to drive 45 minutes to the nearest Walmart and mall!! I am definitely trying the body scrub. It looks awesome! I'll have to take a peek at the scrub. 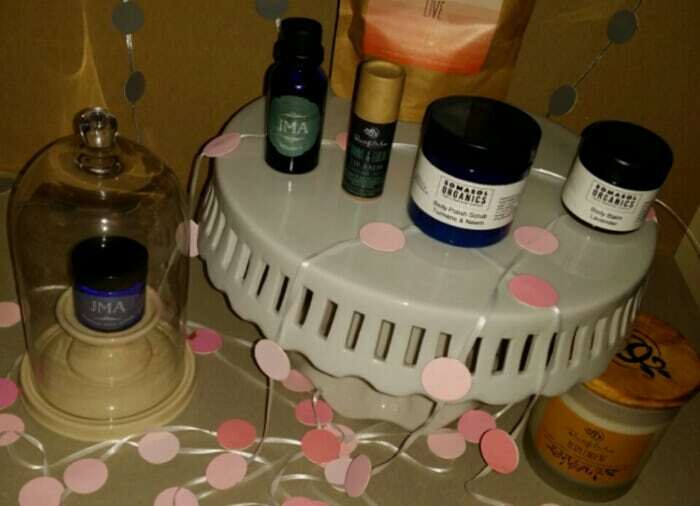 My skin is crazy sensitive, but really dry, so I am always on the hunt for good products to take care of it. It's always fun to try new things, isn't it?